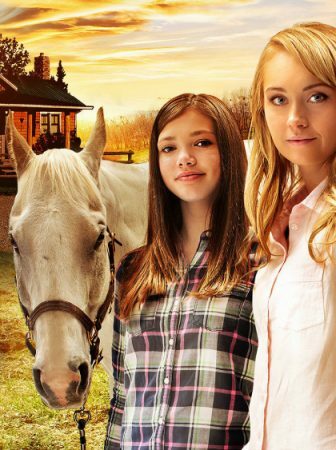 Sadly, another season of Heartland has went and gone. 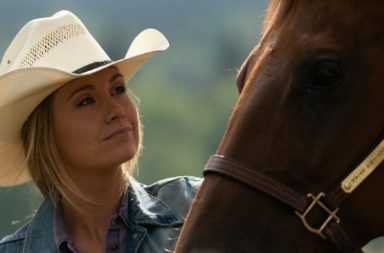 And although we know that there will be another one after this, it was still bittersweet to watch the Heartland season 12 finale. Especially because this whole season the show has been so amazing. 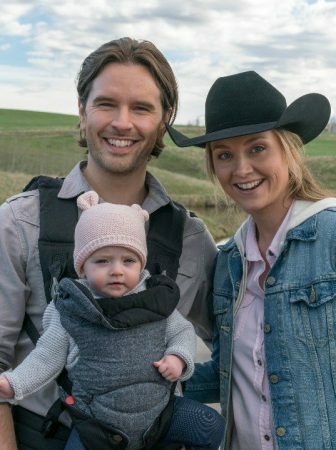 So, if you want to know how the twelfth season of Heartland ended, keep on reading this Heartland season 12 episode 11 recap. The last episode was truly emotional for Jack. He lost his best friend and almost lost his own life. 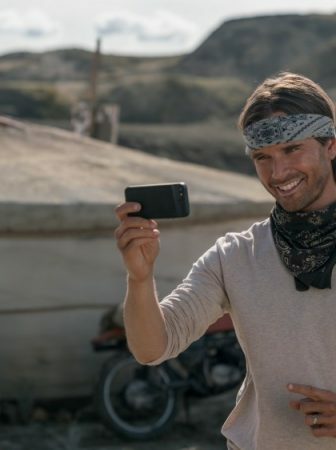 But, luckily this episode was more positively emotional because during it we saw Jack honoring the promise he made to Will to check in on Will’s herd of wild horses. Yet, it wasn’t all roses. 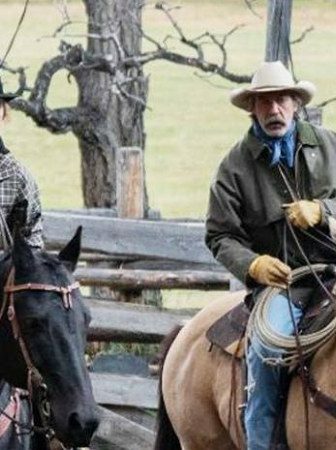 Because when Jack got to Will’s old home to check on the horses, his wife told Jack that they had to sell the house and that the new owner has no intention of letting the horses roam his property. But, of course, the Bartlett clan couldn’t stand for it, so the whole family banded together and went to save the wildies. The initial plan was to bring them to Heartland and temporarily house them in the ranch’s backfield until they decide what to do with the herd. 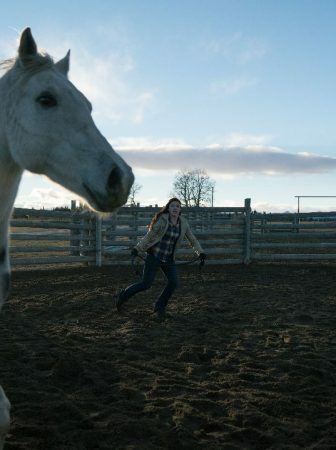 However, after Jack, Amy, Ty, Georgie Tim rounded up the horses and loaded them into the giant stock trailer Tim managed to get, Ty and Amy announced that Heartland wasn’t exactly where they will be taking the wild horses. Rather that they will be bringing them to the land that Jack gifted the couple. Because, after all, if Will managed to share his land with the herd for decades, Amy and Ty won’t have any problems with doing the same. 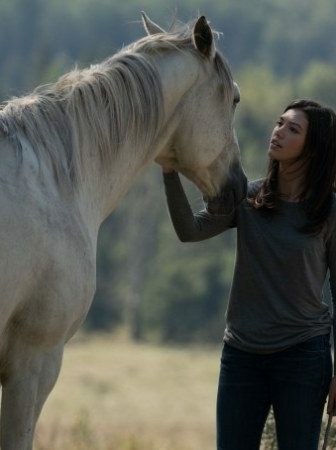 So, by the end of the episode, Will Vernon’s herd of wild horses found a new home living on Amy and Ty’s land. Pretty fitting if you ask me. Because now the couple will have an easier time to watch over the wildies, without having to drive all the way to Pike River. And the wild horses will watch over them when the Borden family will finally build their dream home on the land. Speaking of new homes, another storyline that has been running through the better part of this season is Luke and his home life. And at the end of episode 10, we saw all that come to a halt when Clint announced that Luke might be going into foster care. So, at the start of this episode, we saw Amy and Ty weighing the decision of possibly fostering Luke. All the while Luke’s mom Andrea was packing all of her and Luke’s stuff in the car and driving off. After talking it out Ty and Amy came to a conclusion that they aren’t yet ready for the responsibility that being Luke’s foster parents would put on them. Because that would change their already busy lives drastically. Yet you could see it in both of their eyes that this decision weighed heavily on them. And it took a long, worry-filled drive for them to realize that they actually had room for Luke in their lives and hearts. Why a long drive? Well, Andrea had driven herself and Luke far away from Hudson. But now they were stranded at a truck stop where they stopped for the night because Andrea had gotten worse again. And with money running out and his mom sick, Luke saw no other option than to call Ty for help. So Ty and Amy ditched Mitch’s wedding and headed for Lucy 7 Truck Stop instead, calling Clint on their way. In the end, Luke and his mom were okay and Clint brought them to a safe place. But only when the trio drove off and Amy and Ty were back in the warmth of their truck they realized that they did want to take care of Luke while his mom got better. So the episode ended with Andrea saying goodbye to her son to go get help. And Ty and Amy welcoming Luke into their little family. At least temporarily. A beautiful new beginning for the end of an amazing season of Heartland. While the third major storyline of the episode had everything to do with Lou and Mitch. Because with Mitch’s wedding being just a few days away, this episode Lou was getting more and more upset. Over the last few episodes, we saw how much Mitch’s engagement to Maya hurt Lou. But it was the previous episode that showed us that there might be some hesitation from Mitch’s side as well. 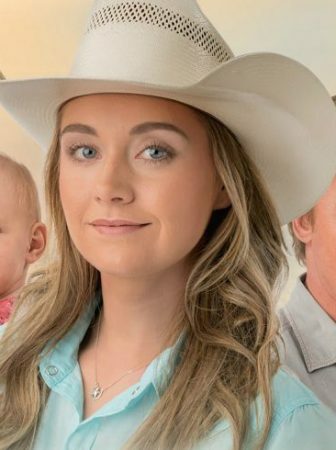 And Heartland season 12 episode 11 only confirmed that, since Mitch admitted having second thoughts about marrying Maya to Tim. Tim, of course, relayed that right back to Lou. And it only made the situation worse. Because, in situations like this, false hope is the last thing you want to give to people. Yet, it turned out that the hope Tim gave Lou wasn’t false. Because after everyone left for the wedding, Tim had an epiphany. And raced to the tree house where Lou, Georgie, Katie, and Lyndy were playing to inform her that Lou needs to tell Mitch how she really feels. And even though Lou was hesitant at first, after Tim’s speech about how he wished that he had a second chance with Marion, just like she could have with Mitch, Lou was on her way to the church. But once she actually got there it was empty. Luckily, it turned out that Mitch and Maya had called off the wedding before it even began. So Mitch was a free man once again. And after Lou and Mitch hashed out their feelings the next day, Lou kissed Mitch. So, despite all that has happened with these two over the last few seasons it looks like Mitch and Lou might get a happy ending of their own after all. Since this was the season 12 finale, the episode did a really good job at resolving all of the storylines from this season. Yet it also gave them room to grow next season. And that included Georgie and Wyatt’s relationship and Tim’s living situation. Because by the end of the episode we saw Jack and Lisa offer Tim to move into the house with them. As well as Georgie apologizing to Wyatt. And, even though Wyatt broke up with Georgie claiming that their lives were traveling in different directions, after seeing how brave Lou was with telling Mitch how she feels Georgie did the same with Wyatt. Georgie told Wyatt that she still wanted to be with him. And left it up to him to decide if he wants to be with Georgie or not. Which leaves us with only one option. 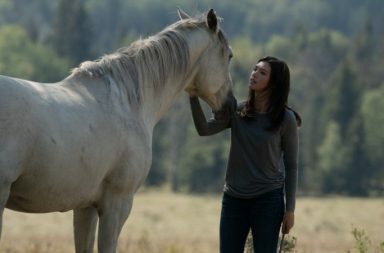 To tune in to CBC once Heartland season 13 premieres next fall or winter. Because that’s the only way we will find out where the stories of these characters are heading next. But while we wait, I wanted to say a huge thank you for reading these reviews, commenting, liking them on social media. And being the best audience I could ask for. I truly appreciate your support. And I hope to bring you more Heartland related news and, of course, recaps of Heartland season 13 episodes when they come out. Until next season, friends! I love this show and appreciate being able to keep up with season 12 via these reviews. The United States is always a season/year behind. Netflix doesn't even have season 11 yet but I was able to see it on UP Faith and Family . I really hope if Georgie going to Europe means less of the teeny bopper show then bon voyage Georgie,. I liked Adam he's back burnered since Georgie got a new beau. Love Caleb and he and Ty's friendship. Maybe Caleb can come and work for Ty and Amy in their new business venture. Liked the Casey character looks like she's vanished or back burnered. Sorry Lou's back it won't be long before her ambition gets the better of her again to take off on another venture leaving Mitch high and dry. Disappointed that jack and Lisa seemingly will never get the privacy of their home to themselves. especially if Tim moves in. He's going to create problems with his manipulative opinionated overbearing arrogant self. I really Hope the writers surprise us all with a different direction this season. 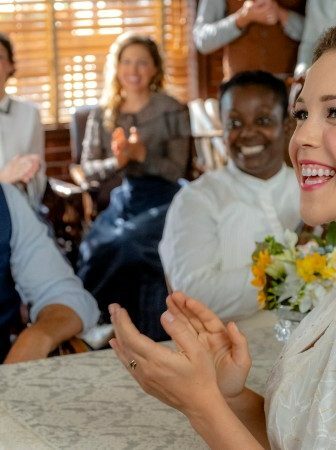 Hi, I just wanted to say thank you for writing about Heartland episodes because where I m I can not get Heartland beyond season 10; on the near by station called Light tv. So by reading your blog I’ve been able to get an idea of season 11 and 12. According to the banner at the bottom of the last screen shot of the episode it said Heartland will return next fall. This was watching it live on CBC Sunday @ 7 p.m.. I double checked as I PVR all new episodes and keep until I purchase the DVD. This is not caught on the GEM. I re-watched it today on GEM and the banner was not on the last shot. Also, thanks for rewatching the episode on CBC Gem. 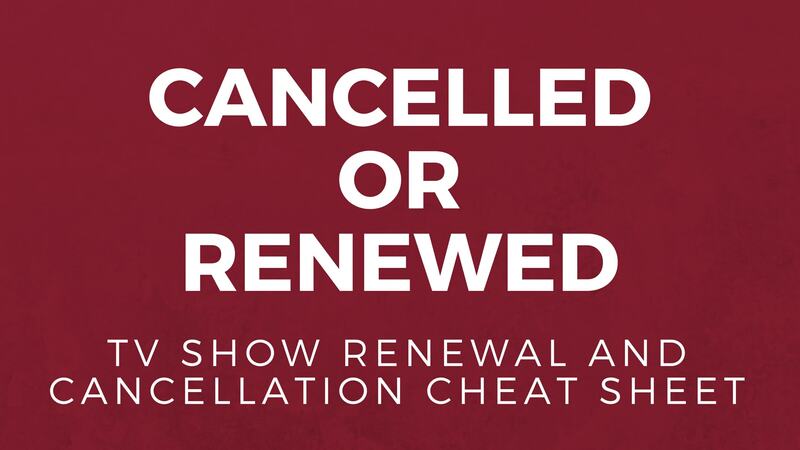 I have no doubt that people watching and rewatching the show on Gem went a long way in ensuring that there is a next season, because nowadays networks pay pretty close attention not only to live viewership but to streams on their platforms as well.